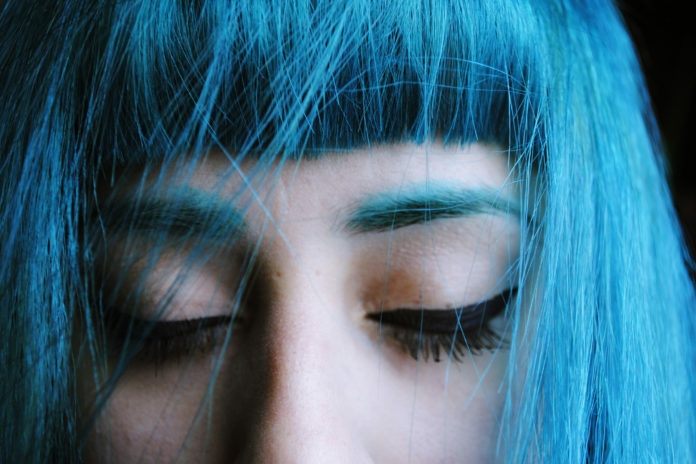 Bold hair colors are a trend that’s here to stay, but figuring out how to get your hair a vibrant shade of teal, cobalt, or lavender can be overwhelming. 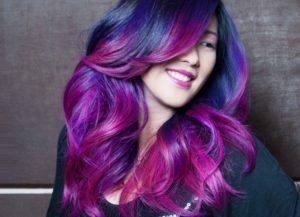 While a trained stylist can absolutely help you achieve the hair color of your dreams, budget concerns have many people eager to try at-home options. One of the many options for getting a bold hair color at home is Splat hair dye. Almost all of their color kits come with bleach to lighten your hair before coloring, making this a good product for colorists on a serious budget, but may not be ideal for anyone who wants to use a specific volume developer when lightening their hair. If you’ve been considering purchasing Splat hair dye but don’t know where to begin, we’re giving you a rundown of Splat’s many coloring products, along with a step-by-step tutorial for using the product and other tips and tricks to help give you vibrant color that lasts! Luscious Raspberries is pretty close to a true red shade, making it a good choice for women with medium and dark complexions with cooler undertones. Like many red hair dyes (even the permanent ones) this shade has the potential to fade quickly. If you’d like to keep a true, vibrant red for as long as possible, washing with sulfate-free shampoo is highly recommended. Unlike blues and purples, Luscious Raspberries dye will still come out fairly true to shade on dark blonde or bleached orange hair, making it a good option for anyone who’s worried about the bleaching process or getting a finished look that isn’t true to color. If you’re looking for a deeper red shade than Luscious Rasperries, Splat’s Crimson Obsession should be your choice. This darker color comes closer to a natural look, although it probably won’t fool anyone into thinking you were born with red hair. Anyone wishing to go red without bleaching first will find that Crimson Obsession is a better choice to put directly on dark blonde or lighter brown hair. If your hair is dark brown, expect a deep auburn shade. When Crimson Obsession fades it tends to turn into a mix of pinks and oranges. If that doesn’t sound appealing, be prepared to refresh your color every 4-6 weeks. 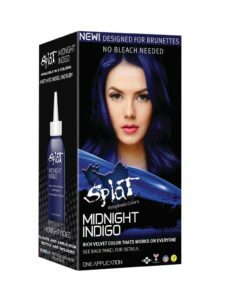 If you’re serious about getting a vibrant color without lightening your brunette hair, Splat’s Midnight Collection is specifically formulated for brown hair that hasn’t been bleached beforehand. 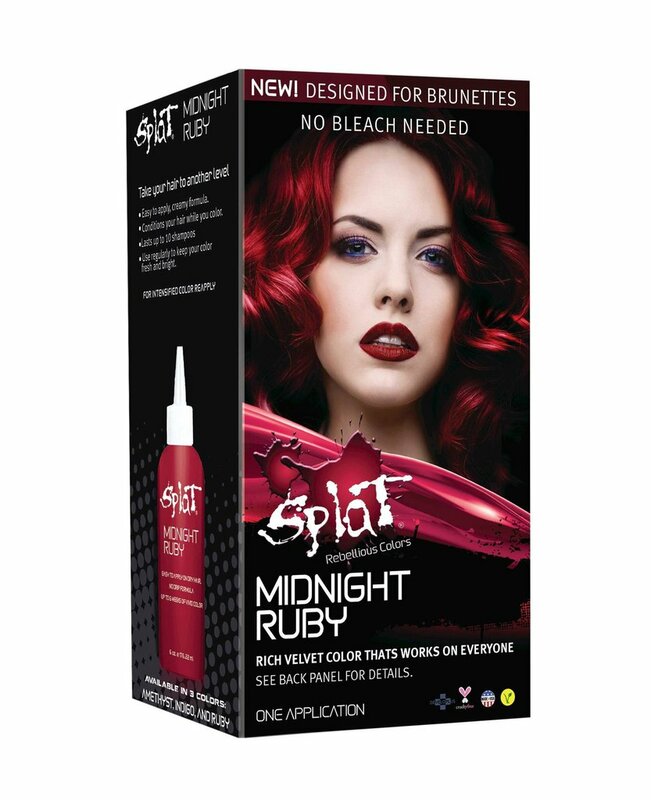 Midnight Ruby is the red offering from this collection, and is an excellent way to turn your natural brown locks into a red headed masterpiece. Living up to it’s name, this color gives you a deep but bright jewel tone red in the light, while darker settings will leave you with a more auburn look. For anyone who’s less committed to going red long-term, Midnight Ruby is a great color choice. 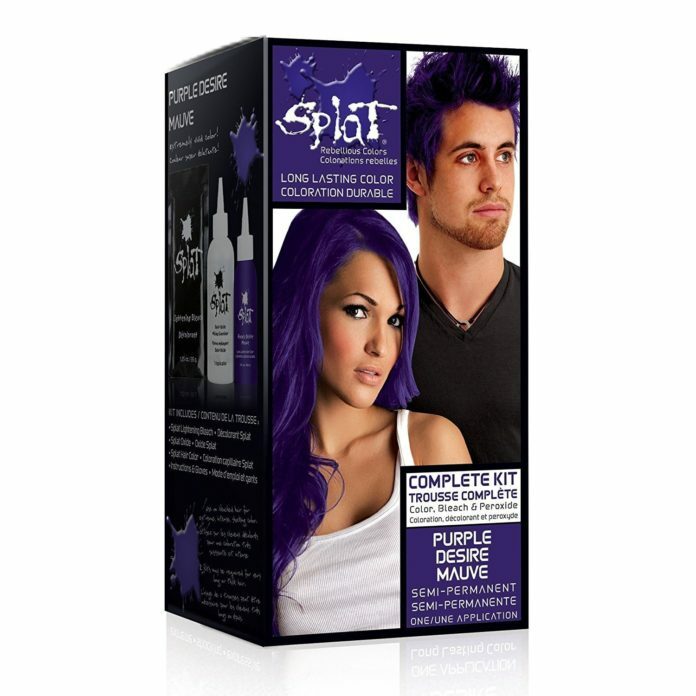 If you’re looking for a bold accent color to highlight black or dark brown hair, Splat’s Purple Desire is an excellent complimenting shade. Although the color pictured on the box is quite a vibrant shade of violet, you can get more of a berry color depending on how light your hair is bleached beforehand. 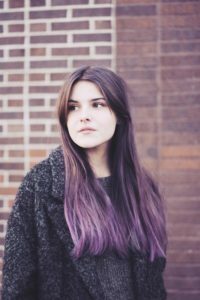 Like most purple or red dyes, Purple Desire can fade quite quickly, and it’s definitely helpful to wash your hair less frequently and with cold water. If you’ve bleached your hair to a pale yellow shade before applying Purple Desire, the fade out process can take your hair to a chic pastel shade in light lavender or pink, giving this semi-permanent color some longevity even as it washes away. 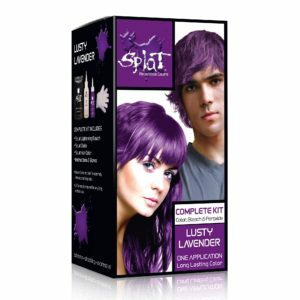 If you’re looking for a much lighter purple shade, Lusty Lavender is Splat’s lightest purple option. Lots of users find this dye comes out as pinkish purple, making it a good choice if you’re into shades like fuchsia and magenta. Unbleached hair that’s light or medium brown will end up looking more on the purple side, but hair that’s been bleached to a pale yellow color tends to turn out more pink than the name would lead you to believe. We love this color for a fun summer switch-up or a bold new dip-dye or underlights look against just about any base color. Want to go violet while skipping the bleach step? Midnight Amethyst is the purple selection from Splat’s no-bleach color designed specifically for brunettes. If you’ve got medium to dark brown hair, be prepared for Midnight Amethyst to make your hair a darker shade with a hint of purple color. Lighter brunettes can expect something more vibrant, but be prepared for your finished purple hair to be quite a dark shade. While most Splat colors are direct dyes that come with lightening ingredients, Jet Black is a powder that’s meant to be mixed with developer then applied to hair. Unlike other Splat colors, this is a permanent dye rather than a stain, and will stick around for a long time. 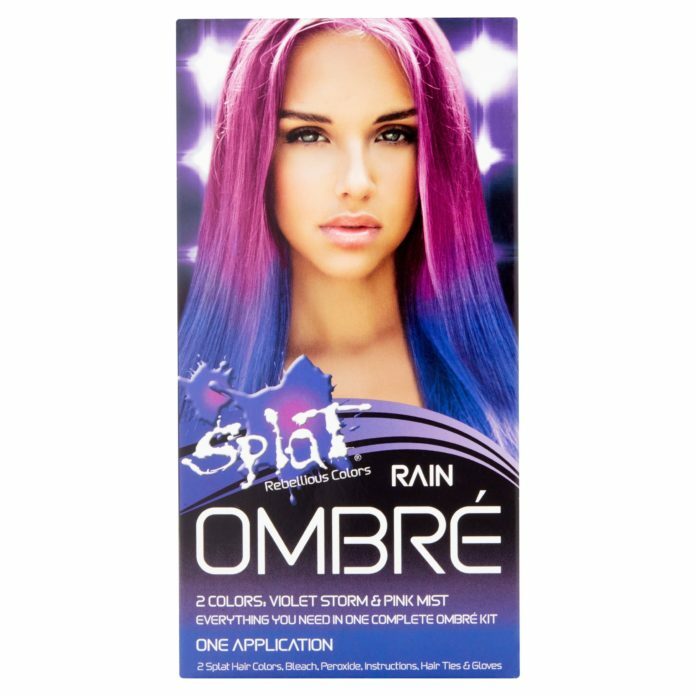 This is not the product for you if you’re trying out a color experiment, but anyone who wants black hair to be their long-term look will appreciate Splat’s staying power. One downside to this black look is that it doesn’t come with a deep conditioner like permanent dyes usually do, so you’ll have to use your regular product or purchase something separately. 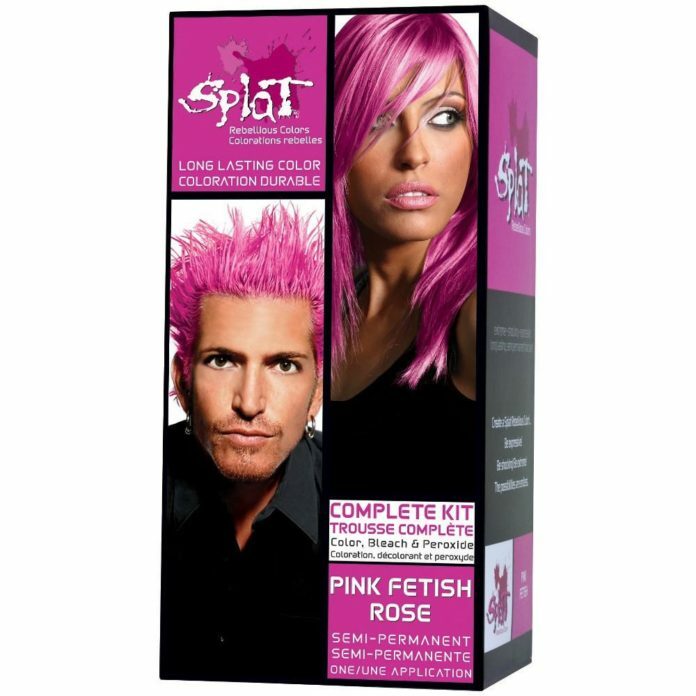 Splat’s Pink Fetish shows up as a very intense pink on hair that’s been bleached or is already a very pale blonde shade. If you’re looking for a peachy pink or lighter pastel shade, this probably isn’t the pink you’re looking for. Some users report this color in particular seems to fade quickly, meaning you may be left with lighter pink locks after a few washes. If you’re trying to keep it vibrant, wash as infrequently as possible, and whatever you do, don’t put a traditional sulfate shampoo on your fresh Pink Fetish strands. 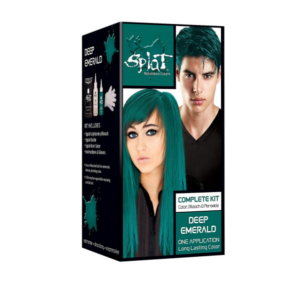 Splat Deep Emerald Green isn’t really a true green, but more of a greenish teal or aqua shade. This particular product does have some trouble adhering to darker hair and even brassier blondes, so it’s best to bleach your hair before applying Deep Emerald. If you’re after a greenish teal shade (which is totally on-trend right now) this is a good product to go for. But if you’re looking for a true, primary green, Deep Emerald probably won’t get you there. If you’re feeling conflicted, try testing a small peekaboo section in the underneath layers of your hair. Because Splat dye doesn’t use a developer, it will actually keep for quite a long time as long as it’s stored in an airtight container! Blue Envy is a vibrant blue hair dye that can get you pretty close to a true electric blue. But the key to achieving the same cobalt blue shade you see pictured on the box is working with hair that’s been bleached to a pale blonde shade. Working with a natural blonde base color or hair that’s been bleached to orange will leave your Blue Envy dye job looking decidedly green. If you’re after an in-between shade of teal this is a green this is a great alternate use for this shade of Splat hair dye, but can be disappointing to anyone who doesn’t understand the importance of bleaching beforehand. Aqua Rush is one Splat’s lightest and brightest colors, and is perfectly on-trend with all the light blue hair colors and mermaid inspired looks we’ve been seeing around. 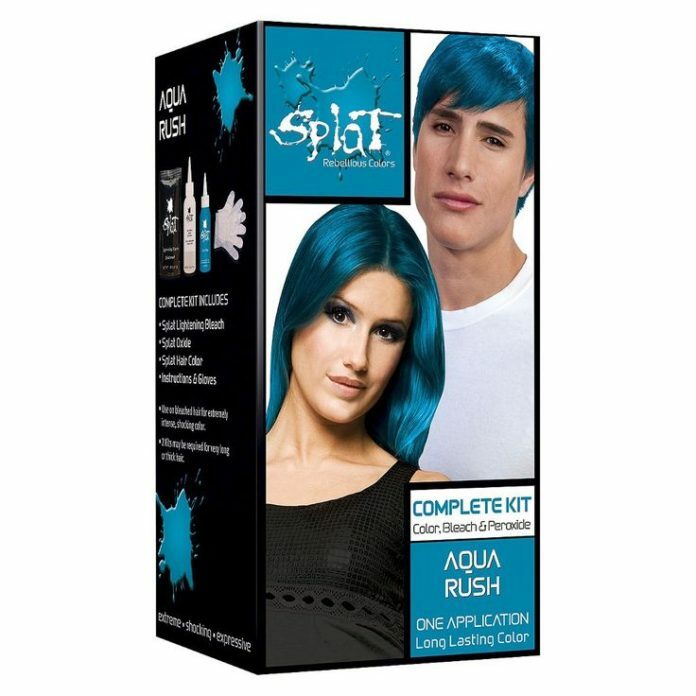 If you’re going for a beautiful turquoise blue shade as pictured on the Aqua Rush box, you absolutely must bleach your hair beforehand. Even hair that’s been bleached to a brassy yellow or orange shade will turn a more greenish teal shade after Aqua Rush has been applied. If you’ve got natural brown hair and are looking to go blue without dye, don’t waste your time with Aqua Rush, as it will have minimal results at best. Looking to go blue-black without the permanence of most drugstore box dyes? 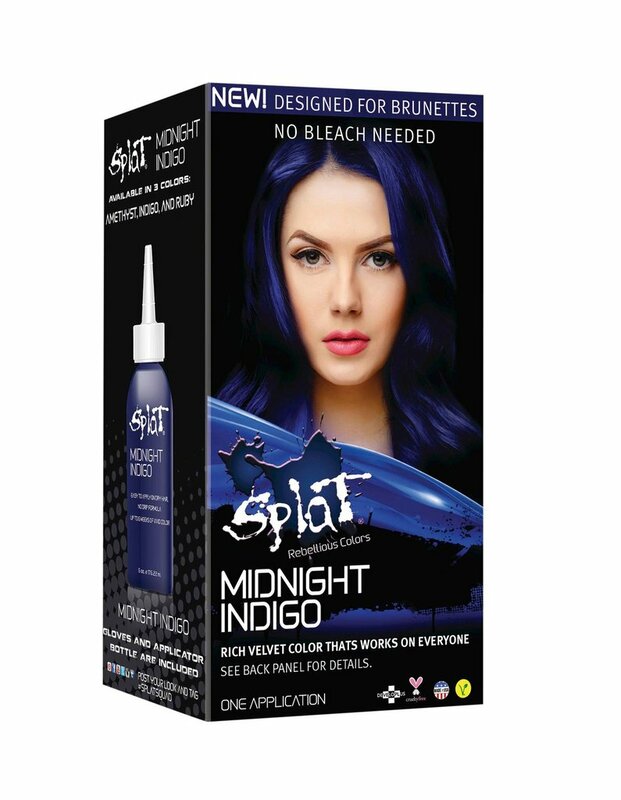 Midnight Indigo is the no-bleach formula made to go right overtop of your brunette hair. Light and medium brown base colors will get darker with this product, and feature a bluish tinge that looks especially nice in the light. If you’ve already got dark brown or natural black locks, expect your hair to look pretty much the same unless in direct sunlight. If you’re looking for a two-tone hairstyle or bold new ombre look, Splat’s got you covered with their new Ombre line. Each kit comes with two different shades of Splat semi-permanent color, along with a bleaching kit to lighten your hair beforehand.If you’ve got very long hair, you might need multiple boxes kit of Splat Ombre, as you don’t get a ton of each color. The Ocean Ombre kit comes with Blue Crush and Turquoise Reef, perfect for creating a mermaid-inspired hairstyle. These two shades are fairly close together, which makes them good for creating a subtle mmulti-dimensionallook, but they won’t have the dramatic color difference that some DIY colorists are looking for. These saturated colors do a decent job of showing up on darker hair, but may come out looking green over darker blondes or hair that’s been bleached to an orange shade. With colors called Violet Storm and Pink Mist, Splat’s Rain Ombre kit seems more inspired by unicorn styles than a rainy day. Either way, this is a good choice for bleached blondes who are looking for a super vibrant style. If you’ve got darker hair that you don’t plan on bleaching, Pink Mist in particular may have trouble adhering to your strands. 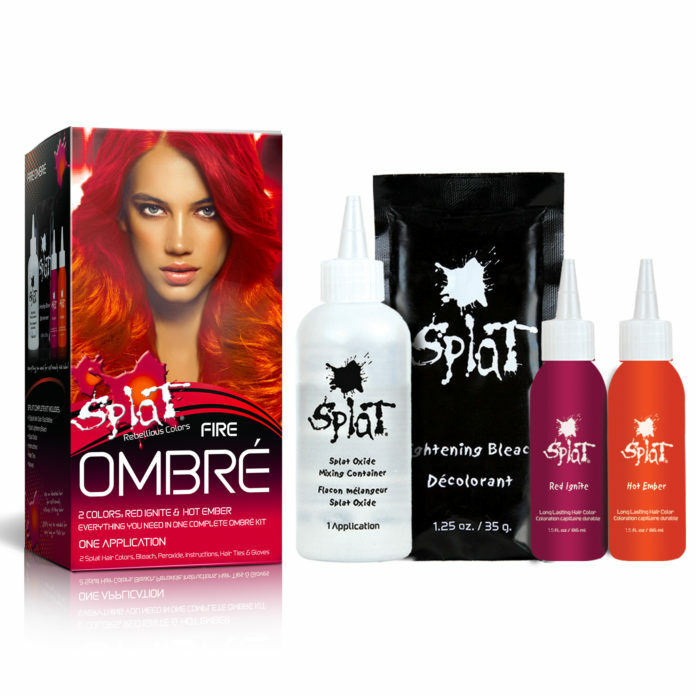 Featuring Red Ignite and Hot Ember, Splat’s Fire Ombre is a nice option for multidimensional styles in the red color family. Hot Ember can come out as a very vibrant shade on pre-bleached hair, giving you a color that’s best described as dark, hot pink. Each kit contains gloves, bleach, developing peroxide, and Splat hair color, meaning you won’t have to buy anything else to get started (although extra gloves aren’t a bad idea). Before beginning, make sure you’re wearing old clothes and you cover any porous surfaces. Bleach will lighten most fabrics and Splat dye will stain just about anything it comes into contact with. For vibrant color results, you’ll need to bleach hair first. Begin by adding the contents of the bleach packet to the oxide bottle, then replace the cap and shake vigorously until contents are fully mixed. Use a funnel to ensure no bleach powder is wasted, as this can impact how effective it is. Apply bleach to dry hair wherever you want Splat color to appear. Be sure to thoroughly saturate these sections, but avoid placing bleach directly on your skin. Leave bleach to process, checking color progress every 10 minutes. Applying gentle heat can help speed the process, but be sure to apply heat evenly so that bleach also develops evenly. Once hair has reached a pale yellow shade or 60 minutes have elapsed, rinse bleach from your hair and wash with a sulfate free shampoo. Leaving bleach on for longer may cause damage to your hair. 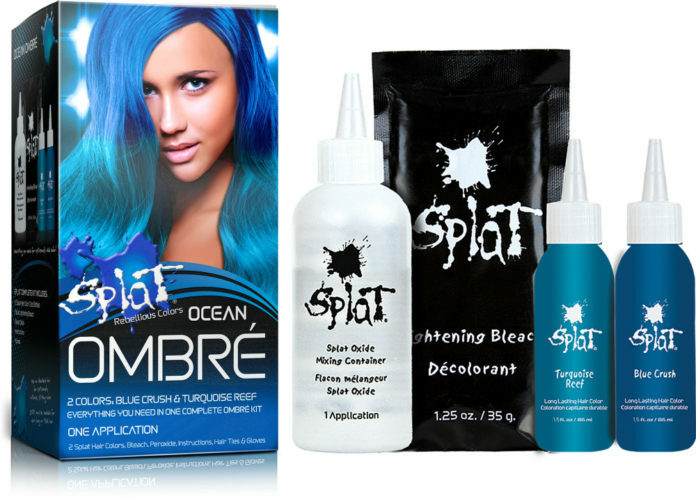 After you’ve washed and dried you hair post-bleaching, it’s time to apply your Splat color. Prep the skin around your hairline and ears with vaseline, which will help to prevent your skin from absorbing dye. Be sure to wear gloves, or the dye will stain your hands! Shake Splat bottle thoroughly, then apply generously to bleached hair. Avoid rubbing Splat into your scalp, focusing on the hair itself. You should leave Splat hair dye on for at least 60 minutes, but feel free to go as long as possible to achieve a more vibrant look. Because Splat is a semi-permanent dye (think of it as a stain), leaving it on for hours shouldn’t cause any damage to your hair. When you’re ready, rinse hair, then condition thoroughly. If you feel you need to shampoo after rinsing your Splat color, take extra care to use color safe products, as each shampoo will fade your vibrant new look. Splat dye will rub off on fabric even after you’ve rinsed it, so be sure to use old towels to dry your hair. 17How can you remove Splat hair dye from your skin? Toothpaste: Not just for keeping your teeth clean, the baking soda in toothpaste can help to remove dye stains from your skin. Rub white toothpaste (not the gel kind) into the stain and scrub with a washcloth. Oil: Apply olive or baby oil to the stain, leaving on for as long as possible (overnight is best). Wash oil off using soap or shampoo. Makeup Remover: If you’ve got liquid makeup remover or wipes on hand, they can help you to remove any residual Splat from your skin. Liquid laundry detergent: Apply liquid laundry detergent to your skin, then rub with a wet washcloth to emulsify, let sit for 30 minutes and rinse. If you’ve got sensitive skin, use care when attempting this method. Dish soap and baking soda: Mix these two products together, then apply to stained skin and scrub with a washcloth. Rinse with warm water and repeat as needed. 18Is Splat hair dye permanent? 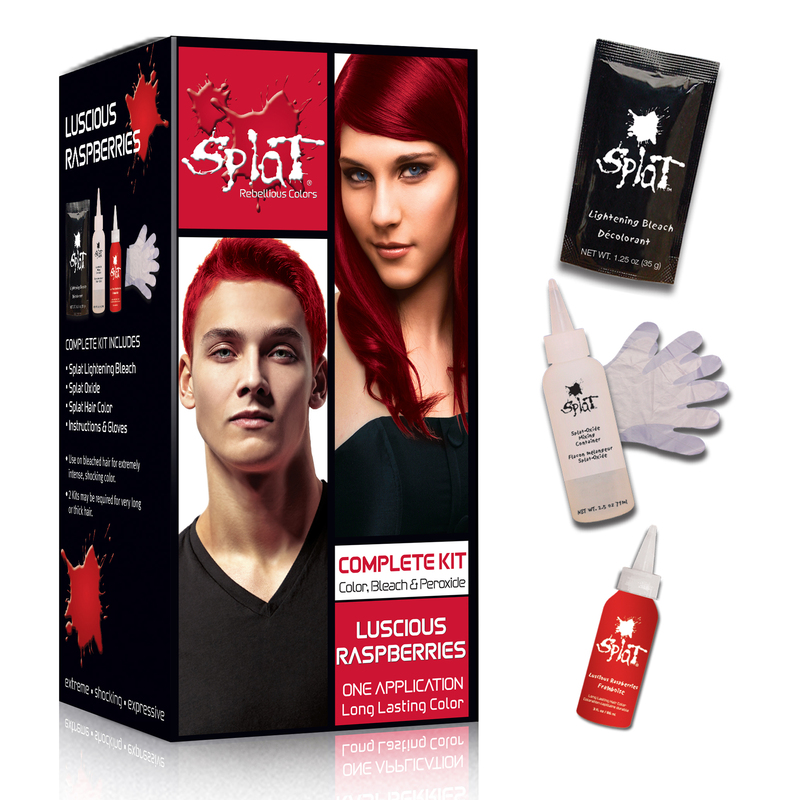 Most Splat is a direct dye (also known as semi-permanent dye), and acts like a stain on your hair. It does come out with each wash, but you shouldn’t expect to be able to easily remove it. If you’re looking to switch up your Splat hair color, a color remover can help to strip the bulk of your color, but won’t restore your hair to its natural shade. 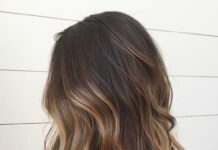 You’ll need to apply another dye overtop of your faded color, usually in a darker shade, to get a completely different look. The exception to this rule is Splat’s Jet Black dye. This color is a powder that’s mixed with a developer, and should be considered permanent. It’s known to stick around for a very long time, and you’ll probably need professional help if you want to get rid of this hair color before it grows out. 19How long does splat hair dye last? How long Splat lasts depends on how porous your hair is before you apply it and how you treat your hair after it’s dyed. You can expect Splat color to last for around 6 weeks on previously bleached hair. Like all semi-permanent dye, Splat will fade out with each wash. You can keep it looking fresh for longer by washing hair less frequently, and using cold water and sulfate-free shampoo when you do. You can refresh with more Splat color once it starts to fade, or let your style change into a new lighter look. 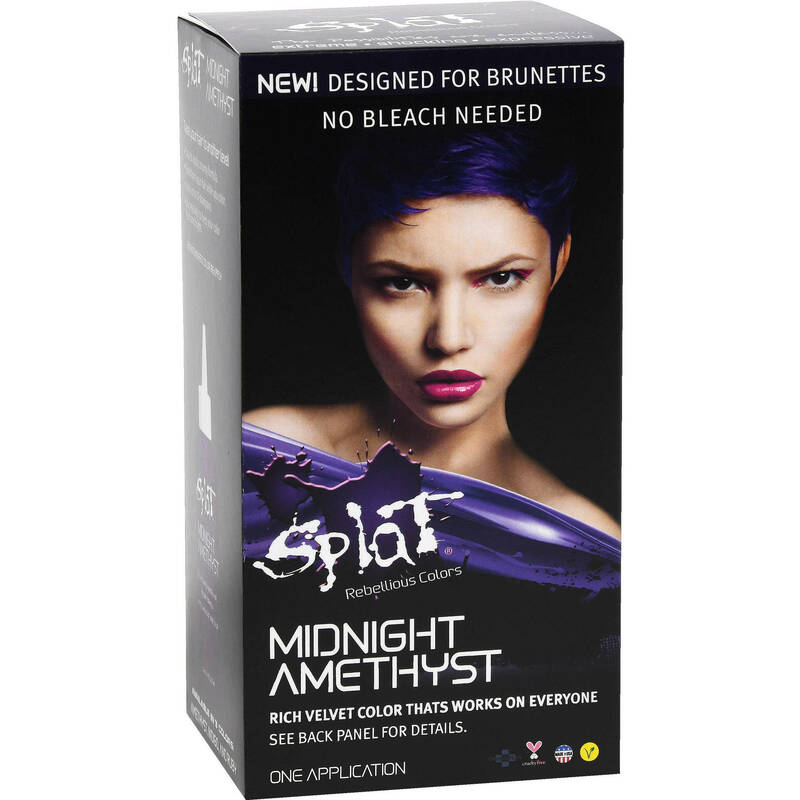 If you use Splat dye without bleach, your results will vary depending on the color of hair that you’re working with. 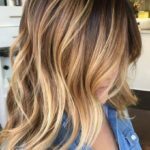 On naturally blonde or light brown hair, Splat dye will result in a finished look that’s less vibrant than a style that uses bleach. Think of the difference between using a purple marker on paper that’s white versus paper that’s yellow or light brown. You’ll still be able to see the purple, but it certainly won’t be as intense. Applying Splat hair dye to your dark brown or black hair can give you hair a slight hint of color (especially when light hits it), but that color may not be incredibly noticeable. 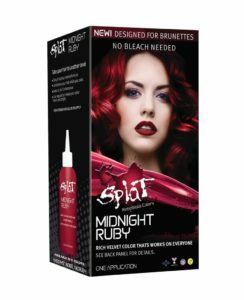 For darker Splat styles that are specially formulated to use without bleach, try the Splat Midnight collection in Ruby, Amethyst or Indigo. If you’re using Splat without bleach, be sure to consider how your base color will influence how your final shade turns out. 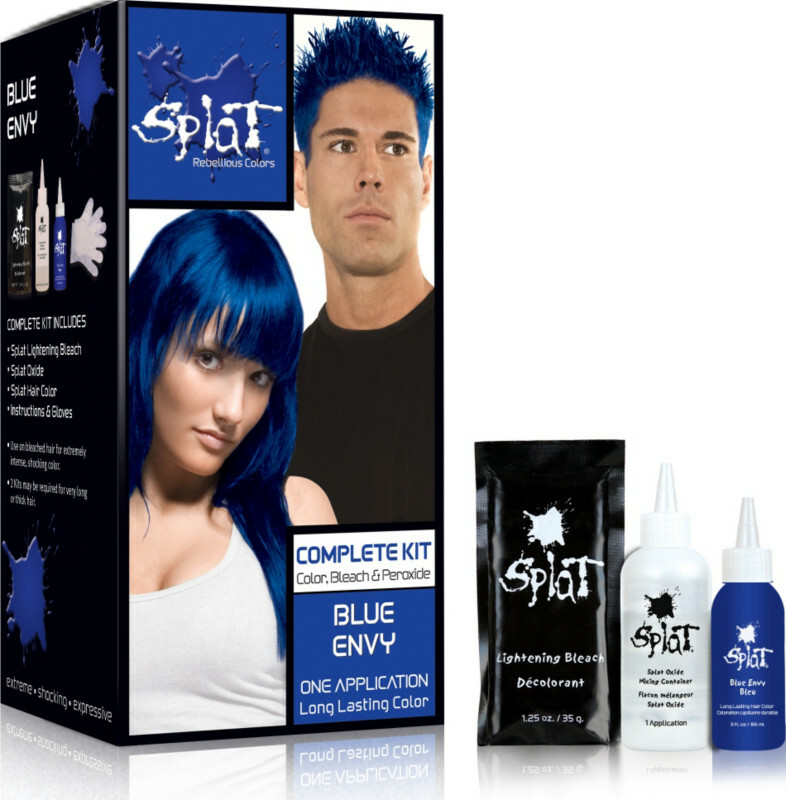 Splat’s blue colors can turn out green when applied to darker blonde hair, and may look purple over hair that’s got lots of red tones in it. If you want a true, vibrant color, working with bleached hair is your best bet. If you’re looking for vibrant results that are true to color, bleaching beforehand is a must. Even natural blondes will get a darker, less vibrant look than bleached hair, as the lightening process leaves your strands more porous and primed to soak up Splat color. Splat dye stains! Our removal tips are great for a little spot here and there, but you could spend a long time scrubbing if you’re not careful with where Splat comes into contact with your skin. Doubling up on gloves or using a pair of heavy duty rubber gloves is a good way to keep your hands protected during the process. And unless you want your scalp to be the same color as your hair, avoid rubbing Splat hair dye into your scalp. Splat hair dye bleeds. Even after very thorough rinsing, almost everyone who uses Splat experiences color bleeding when their hair is wet, and some even find that dry hair transfers color for the first few washes. In addition to towels, pillowcases and bedding are frequent victims of this color bleeding, and white shirts may also be damaged. If you’re working out or taking a walk in the rain, expect some Splat color to run off of your head.